One of our generation’s most formidable yet least understood areas of technology is machine learning, which makes the basis of today’s artificial intelligence (AI). As a technological breakthrough, it is defining the way we program, interact with and benefit from everyday products. From smart home assistants to fridges and washing machines, there are few areas that have been left untouched. It is not something we can see, touch, or hear, and for the most part, we as consumers are unaware that we are using it or that we benefit so highly from it. When your phone corrects your grammar, your car automatically navigates the roads, or your smart home assistant sets the temperature on your Nest thermostat, that’s a machine learning model working at the most basic level. The possibilities for machine-learning-based AI are virtually limitless as it can learn from any kind of digital data. Unsurprisingly, this has been the cause of much debate and consumers are increasingly wary of the reach AI has and the potential it holds. There’s not much to worry about, though, at least not yet. It used to be the case that we had to adapt to technology in order to maximize the benefits. A good example of this is early computers where you had to type a command line in order to open or save a file. Simply put, we had to speak to computers in a way that they would understand, whereas today, we speak to them naturally and they learn from us. AI has completely turned technology on its head and it is being used to create software solutions that adapt to us – the consumers and end-users – rather than it being the other way around. We can now speak to our phones to make a call or a web search, we can ask our smart home assistants such as Amazon Alexa to convert units of measurement or what the weather’s going to be like next week, and we can sit in cars and have them drive with minimal user input. A big hype surrounds AI, and this has contributed greatly to general consumer skepticism about artificial intelligence. This is known as autonomy; computer scientists have been hard at work developing AI and machine learning for the past few decades and it’s now starting to come to fruition. Computers can now understand and learn from us and, in a way, have their own “minds” that can process information and adapt their responses depending on what’s being asked, who’s said it, and how they’ve said it. These developments have divided several industries, and experts are at loggerheads when it comes to the potential pitfalls of machines becoming too advanced. 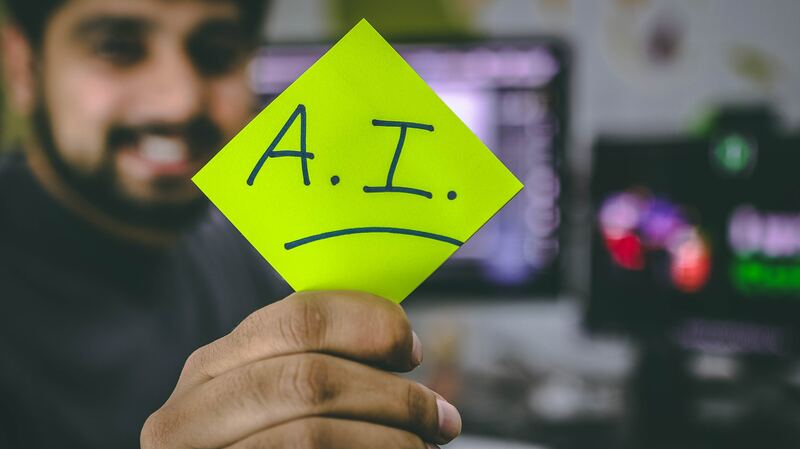 With AI has come a lot of fear, which, although not yet mainstream, is a serious consideration and has the potential to gain momentum as these technologies develop further. To these people we say this: there’s nothing to be worried about, at least not yet. What we are seeing today with AI is the result of almost half a century’s worth of work from some of the world’s brightest minds, and the developments we are now benefiting from have come at just the right time. We are far into the digital age and the world now has vast amounts of data due to the potentially unlimited computing power of the cloud. With this data, however, comes a serious problem that AI is helping to solve. The cloud alone can only do so much to process data, and it requires either humans or AI to make sense of it. Given the swathes of data constantly being pumped into the cloud, this job falls to the latter. AI really has the potential to solve some of the biggest problems facing our world, from climate change to transportation and everything in between. Behind all these problems is data and it is the understanding of this data that potentially holds the key to solving them. Are AI Solutions Limited by Their Creators? What many people fail to appreciate is that AI is manmade. Although it is somewhat autonomous, it is not yet capable – and may never be– of thinking independently and making its own decisions based on logic, reason, and rationality. To an extent, AI only goes as far as we let it. One caveat to this is the so-called “black box” of machine learning—the fact that we can’t interpret exactly what AI is doing to arrive at a decision or solution. When applied to a model which has a huge influence on human life—say an algorithm that can predict terminal illness—the black box problem is obvious. For example, patients are likely to be more reassured by a doctor’s diagnosis rather than a machine’s, even if the machine’s diagnosis was more accurate thanks to a deep learning algorithm working inside. This means that AI, to quite an extent, falls beyond the scope of human interpretation, and because this is coupled with popular culture’s tendency to portray AI as this evil pseudo-human which has raw consciousness and always turns on its masters (think Skynet or HAL 9000), it has resulted in AI being surrounded by fear and skepticism. There are, however, very few companies that are looking for machine consciousness. Although engaging with current smart devices may give the impression that you are having an intelligent conversation with a machine that fully understands you, there’s really not much behind the magic and there certainly isn’t a brain on the other end thinking of how it can do anything other than what was instructed. What Does AI Hold for the Future? The truth is that we don’t know for sure what AI may hold in the future. What we do know, though, is that what AI represents today has barely scratched the surface of what may be possible. Instead of fearing AI, consumers and companies should embrace it and take advantage of all the benefits and utility it affords. Since 2013, jobs that require AI have grown by over 400% and this is showing no signs of slowing. AI in its current state is far from perfect and AI consulting companies are working around-the-clock to make the technology behind it better. There will come a time when AI is completely faultless and can do a lot more than it is capable of at present, but this isn’t likely to happen for a while. In the future, there may be a need to fear AI, but that is a very sweeping statement which has a very little basis at present. It all depends on the direction AI goes with further development.